The system uses vehicle-to-infrastructure technology to help make commutes less stressful. 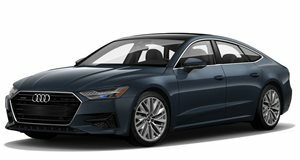 Nobody enjoys wasting time being stuck at a red light, but Audi is introducing a new system in the US that can help you avoid them. Dubbed "Green Light Optimized Speed Advisory," the system uses vehicle-to-infrastructure (V2I) technology to communicate with traffic signals, determine the car’s location, and the timing of the traffic light. It will then calculate a recommended speed to travel to get to a green light. Of course, the system also takes the location’s speed limit into consideration. After all, Audi isn't going to encourage you to break the traffic laws. Audi says this innovative system was created to help drivers catch a so-called "green wave” of continuous green lights. With research showing that the average American spends nearly 300 hours driving every year, (that's 12.5 days or more than seven 40-hour work weeks), the automaker hopes the technology will help "reduce anxiety and improve a driver’s comfort” during time behind the wheel. 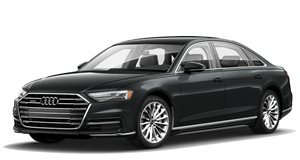 The system works on select 2017 and newer Audi models and is an expansion of company’s Traffic Light Information system, which displays the time remaining before a red light turns green in the instrument cluster or head-up display. The GLOSA works at more than 4,700 intersections in major metropolitan areas such as Dallas, Denver, Gainesville, Houston, Kansas City, Las Vegas, Los Angeles, New York City, Orlando, Portland, San Francisco and Washington, D.C as well as the greater northern Virginia region. You’ll need an Audi Connect PRIME subscription to access the system, though, which costs $199 for six months or $499 for 18 months on the 2019 A6, A7, A8, and Q8. Future updates could also use V2I technology to provide optimized navigation routing and better fuel economy thanks to integration with a vehicle’s engine start/stop system. 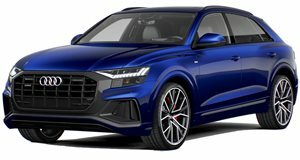 Audi chops the roofline and ditches the third row to create a flagship SUV.